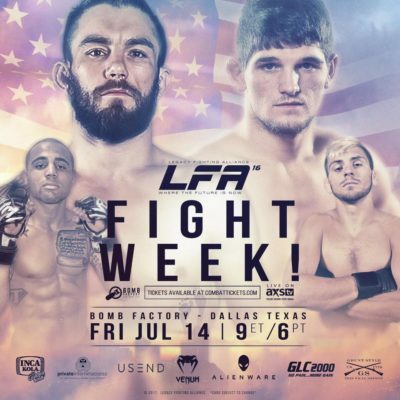 Originally headlined by an LFA title fight, the LFA 16 card has had somewhat of a shakeup. Davina Maciel, who was set to challenge Andrea Lee for her flyweight title, had visa issues and is unable to enter the country. The title fight has been scratched, and the new headliner will be UFC vet Johnny Bedford, taking on Jimmy Flick. Levi Mowles and Miles Johns will now be the co-main event, while Ryan Hollis fills in for Angel Huerta against the former Legacy FC champion, Steven Peterson.